"Had a lot of coverage so it was a lot quicker. Pressure control was nice." Connect to your garden hose with the outdoor adapter and bathe your pup outside! Every dog needs washing and grooming. 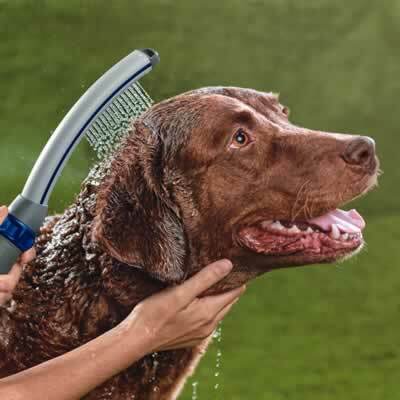 The contoured water combing spray from the Pet Wand Pro penetrates the thickest fur, quickly removing dirt and shampoo for a deeper and more thorough clean. 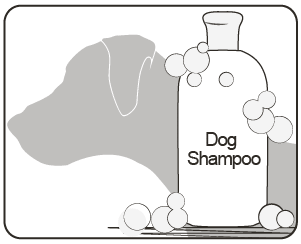 Read our complete ear to paw dog grooming guide for tips and tricks on shampooing, paw cleaning, and ear and mouth care. How do I install the Pet Wand PRO in my shower? Installing the Pet Wand PRO indoors is easy with the included diverter allowing you to switch from regular shower head to pet shower in an instant. Just screw the diverter onto your shower j-pipe and screw the shower head and Pet Wand PRO onto the two diverter outlets. 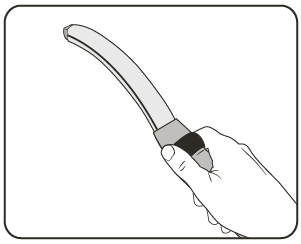 For step-by-step instructions download the Pet Wand PRO Installation and User Guide PDF. How do I use the Pet Wand PRO outside? 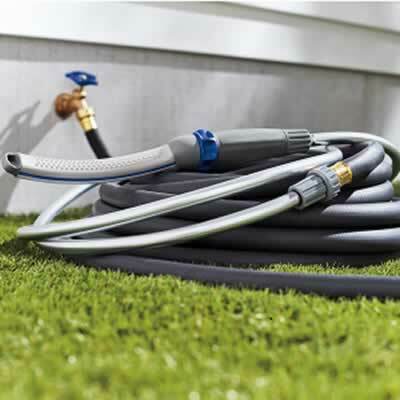 To use the Pet Wand PRO with your garden hose simply attach the outdoor adapter to your hose, screw the WaterpikTM hose to the outdoor adapter, then screw the wand onto the hose. For instructions download the Pet Wand PRO Installation and User Guide PDF. What if I don’t want to store the Pet Wand PRO in my shower? 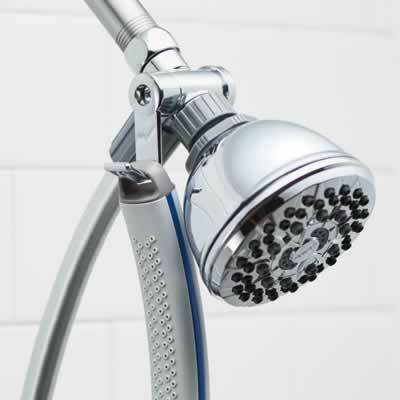 You can directly screw the Pet Wand hose onto your shower pipe by removing your current shower head. Download the Pet Wand PRO Installation and User Guide PDF. Can I install the Pet Wand PRO with a hand held shower head? 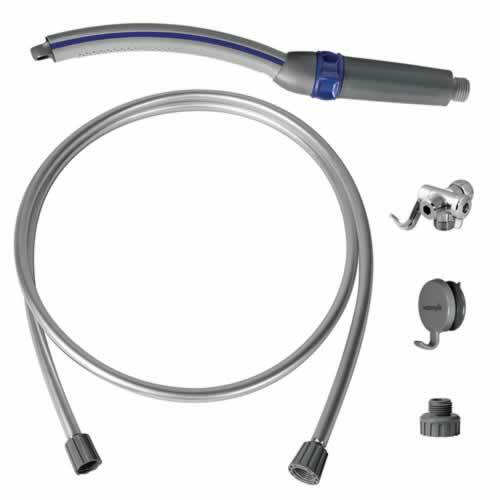 For a hand held shower head, you can unscrew your current hand held shower hose from the bracket and screw on the Pet Wand PRO hose to your current shower bracket. OR uninstall the entire bracket and screw the Pet Wand PRO hose directly onto the shower pipe. Download instructions. What is the warranty period of my Pet Wand PRO? The Pet Wand PRO includes a limited lifetime warranty. A dated sales receipt is required for warranty validation. 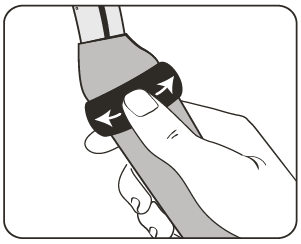 If you are seeking warranty assistance and do not have the receipt, provide at least one image of the Pet Wand PRO to depict the issue being experienced. 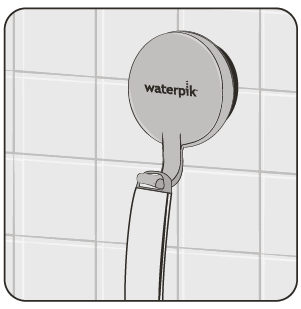 Email the photo(s) to service@waterpik.com. Please include the reason for the claim, your name, address, AND telephone number. Can I purchase replacement parts? If you are having issues with any of the parts you’ve received, please contact our customer service team. Replacements may be covered in your product warranty. 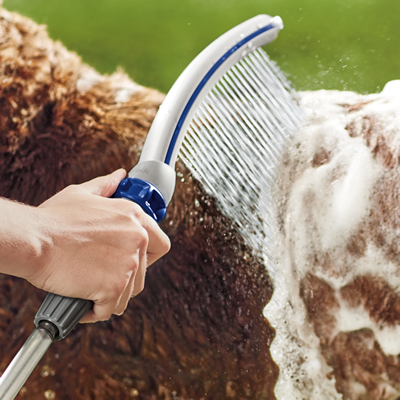 Using the Pet Wand PRO Dog Shower to bathe your pet is fast and easy. 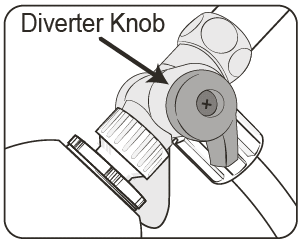 1 If using the Pet Wand PRO Dog Shower indoors, make sure the diverter knob is pointing down. 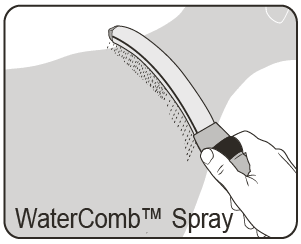 2Turn water on and turn the EasySelect™ dial to the full WaterComb™ spray. 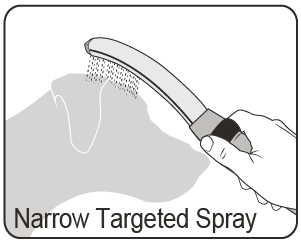 3 Place the wand against the dog’s fur and gently push the water down the dog’s body to get the dog wet. 6 When your dog is wet, turn the EasySelect™ dial to pause to reduce the water flow to a trickle. 8 For a thorough rinse, turn the EasySelect™ dial back to the WaterComb™ Spray. 9 Turn off the water flow when your dog is rinsed.